Malta, the little island in the center of the Mediterranean sea. Correction, not just in the center but also covered by the sea. Naturally being surrounded by the sea and having heritage sites such as forts and towers, the country is liable to beautiful sceneries of the green around the country and even better, the Sunset. 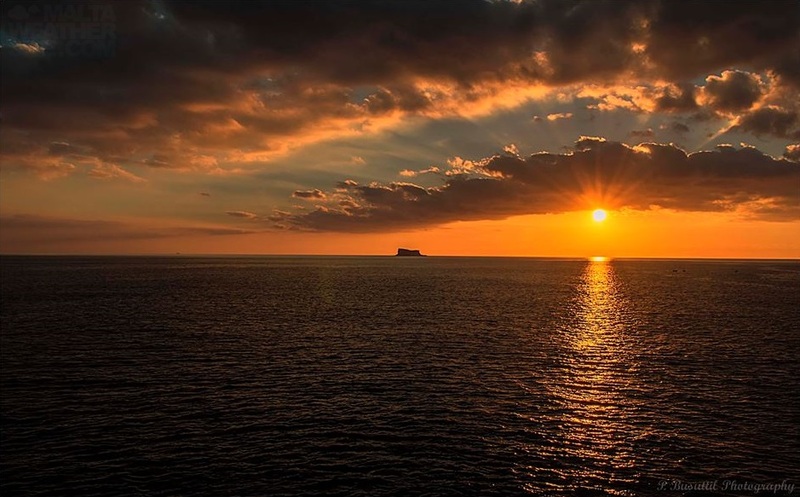 In this article, we will show you a selection of breathtaking images of sunset in Malta! Xlendi is a village in the island of Gozo part of the Maltese archipelago. This village has one of the most beautiful bays in the whole archipelago, the Xlendi Bay. One piece of interesting history about this bay is that what used to be a sandy bay before the war is now a pebbly and rocky surface. This could be the ramifications of the war and the constant population around the bay down the years. Well, it’s still good for sunbathing and has a breathtaking sunset in Malta, who are we to complain? Iż-Żurrieq is in the south of Malta and it touches with the Mediterranean sea. That part is known as Blue Grotto, and what makes it more beautiful is that north of it there is Ħaġar Qim. Blue Grotto, also known as, “Wied Iż-Żurrieq” has different areas where you can sit and enjoy the sunset in Malta during the evening. Blue Grotto is also known for the scenery of the inhibited yet beautiful, Filfla. 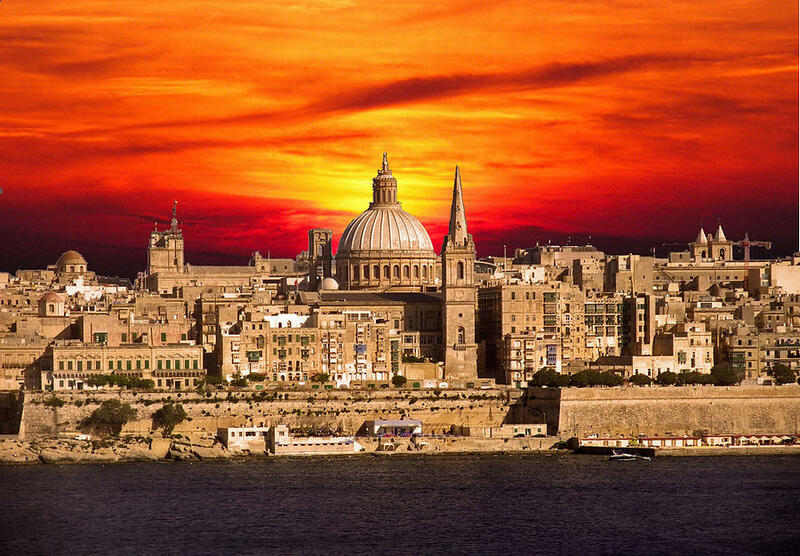 Valletta, the Maltese Capital City, being a peninsula is surrounded by places to watch the beautiful sunset in Malta. Known for its history of the forts and the story of La Vallette and the Great Siege, those places can now be used to watch the beautiful views of Malta. You can look at sunsets in Valletta from the barrakka gardens, and from the Marsamxett Harbour. Its prestige and position in the map makes Valletta as one of the places to be to watch the sunset in Malta. Għajn Tuffieħa is part of Mellieħa and is known with tourists coming in during the year due to the three bays. Ġnejna Bay, Golden Bay, and Għajn Tuffieħa Bay. These three bays are fully packed in the morning due to sunbathing and swimming. 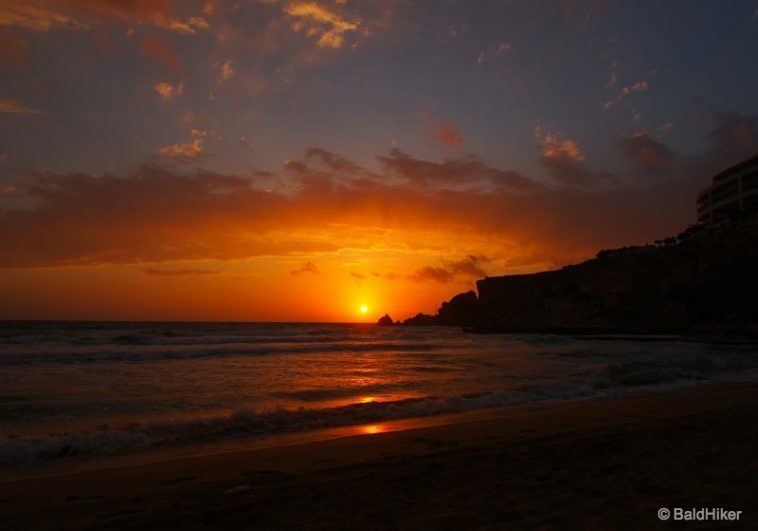 All three bays has beautiful scenery of Sunset in Malta in the evening, which helps tourism as tourists stay there till night to see the beautiful sunset. 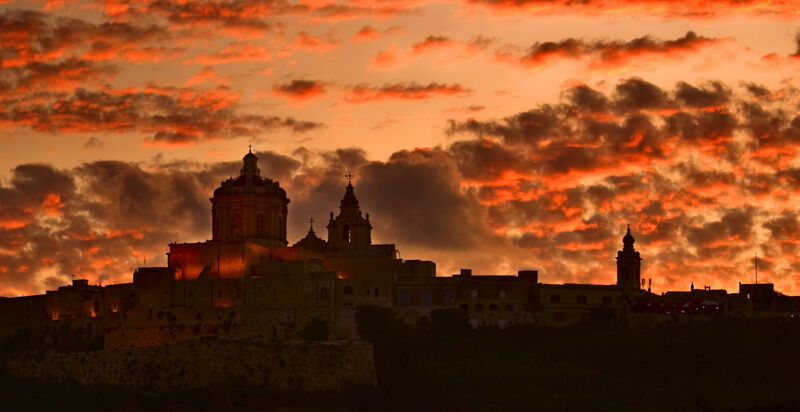 Mdina, the old capital city and also known as the Silent City due to the loss of population after the 1530s. What makes the Sunset in Malta special in this City is that you can still see it clearly although it’s not covered by the sea. Mdina holds an important heritage for the country, and while the city might be silent but the sun is pretty loud over Mdina. Birżebbuġa like Żurrieq is found in the south of the Country, in fact only 6km’s separates the two towns. Birżebbuġa is known for the freeport and the pretty bay. The pretty bay is the type of bay that you could last for a day and you wouldn’t get bored. That is due that the bay is pretty much lively during the day and in the night people come to watch the sunset in Malta. With a set of breathtaking images, we hope you like this article and it brings you more close to the beautiful scenery that the country of Malta. The images being beautiful we do believe that best image you can take is to be there watching the sunset and enjoy the moment. Feel free to take images of sunsets and comment below about your experience of the sunset in Malta. After all there isn’t better than a glass of wine and watch the sunset! To get to know more about Malta read this guide about living in working in Malta. 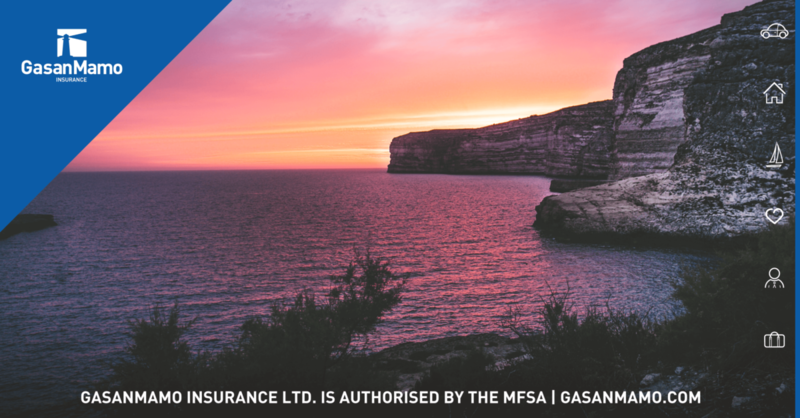 GasanMamo is the best Insurance company in Malta.